Feel the golden sands of Bondi Beach between your toes. 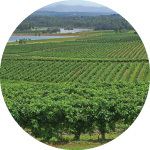 Visit the Hunter Valley for great wines, beautiful landscapes and historic villages. Experience the country with real stockmen on a working sheep farm. Welcome to Beautiful Tours Australia. Our Sydney tours uncover the many fascinating stories this wonderful city has to tell! 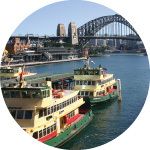 We offer exciting Sydney tours including private walking tours for small or large groups. Learn more! 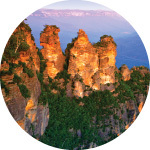 Experience the marvel of the natural landscape and tranquility of the Blue Mountains. Find out more today! Enjoy the great wines, beautiful landscapes and historic villages of the Hunter Valley. Read all about it! Our private charter tours offer visitors an unforgettable taste of Australia, guaranteed to leave a lasting impression. Our boutique tours are conducted by local, knowledgeable, passionate and friendly guides in modern comfortable vehicles. We show you Australia’s icons and her best kept secrets that only the locals know. 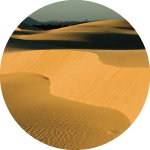 Tours are conducted in either English or German – with other languages on request. Walk in the treetops, visit boutique produce shops in the beautiful south coast. Find out more. 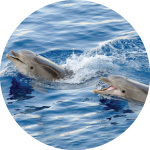 Pristine beaches, dolphins, camels and towering sand dunes. Click here to find out more. 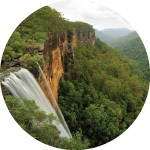 All our tours are handcrafted to showcase the best Australia has to offer. We give you insider tips and advice on how to maximise your stay. We can also tailor make tours to suit your needs, providing the ultimate in flexibility so you can enjoy your personal experience “Down Under”. When you tour with Beautiful Tours Australia, you arrive as a guest and leave as a “mate” with priceless memories. "The tour was a great experience, it was more than just a wine tasting. I learned about Hunter Valley, about wine making industry and a few wine making tricks. Excellent selection of wineries and restaurant where we were very quickly served a good quality lunch accompanied buya relaxing live music. I am going there again!" "Wonderful experience. Great host, safe driver and very knowledgeable." "My full day tour to the Hunter Valley Wine growing region with Wolfgang of Beautiful Australia Tours was a very entertaining experience. The 3 chosen wineries offered tastings of various wines they produce and the time at Hunter Valley Garden Village was most interesting, I learned a lot about Australian wine growing." Monica, Bernard, Renate and Fritz from Switzerland.